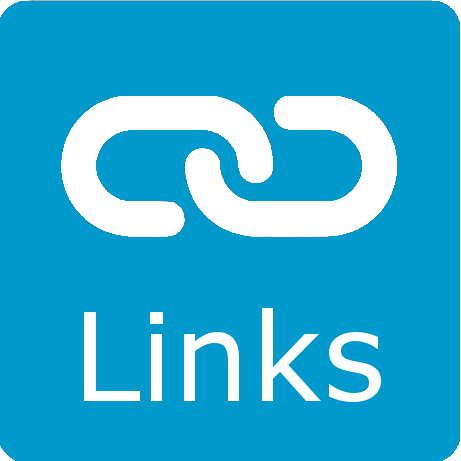 Checking the Three Counties Showground website’s 2017 events calendar, revealed that the “Lorry Show” (as they described it), previously scheduled for 4th March, was listed as cancelled. 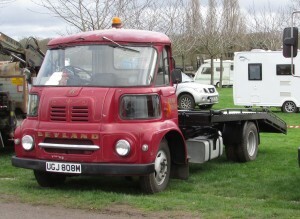 It may be that Kelsey Publishing Ltd. had decided to incorporate provision for classic commercial vehicles into another show. afterthought. However, here are the vehicles I saw. Some details are very limited, because owners couldn’t be located, to confirm any dates and details. Motors of Monmouth. 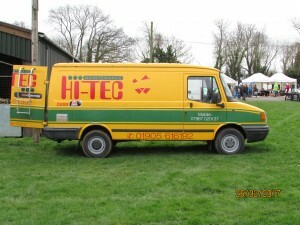 The vehicle has been owned by TD & IR Harrison since 1994.
after 120000 miles, it has never broken down! 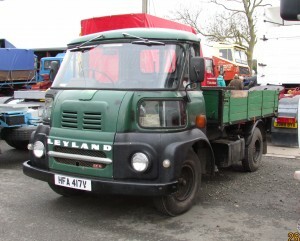 After checking with a more knowledgeable Club member, I discovered that this vehicle is a Leyland Daf Road Runner (1985), with T45 cab. It was shown here in recovery truck form, no other details known. 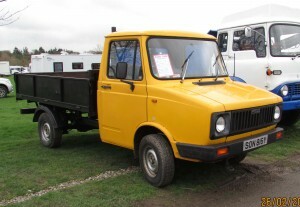 Here’s another FG, 1979 vintage, judging by its registration number. I couldn’t find the owner to check details, and none were displayed. This truck had clearly had much use, and only cursory care. Definitely a working classic!! 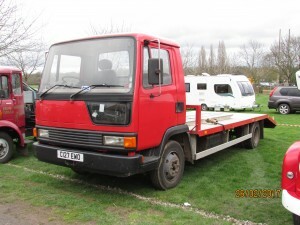 Pictures below show an LDV Convoy, powered by a 2.5 litre diesel. 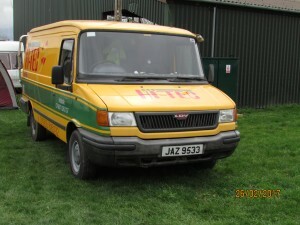 The registration suggests it was a 1998 model, although it may have been re-registered, with that N.I. number. This was a stall-holder’s vehicle, but unfortunately, he also proved elusive. 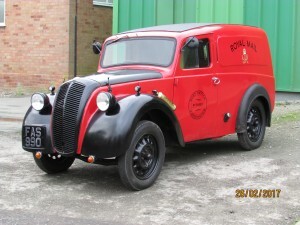 Shown on the left, is a well-restored 1948 Morris Z GPO van. The internal fittings appeared to have been very accurately restored, or re-created. 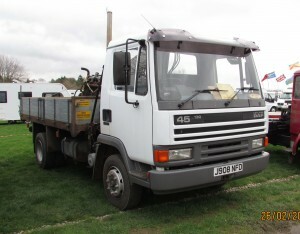 Below is a 1991 Leyland Daf 45 – 130 with a standard-looking truck body. Not sure if was on show, or merely parked! And here is the “Tail-Piece”!! 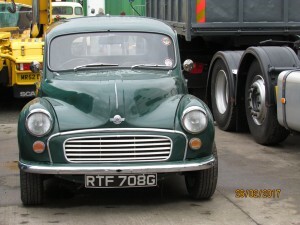 This 1969/70 Morris Minor 1000 pick-up looked generally standard – from the front. 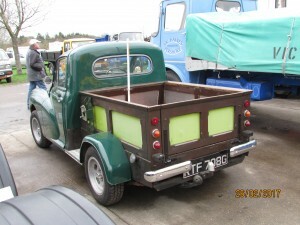 But the rear view, however, was definitely non-standard! Clearly modified, the work appeared to have been to a pretty good standard.